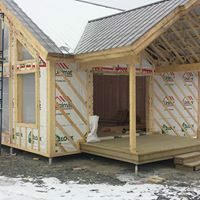 Alain Jacques, our Pro Post Foundations distributor and installer for Beauce, offers courteous and professional services. Alain Jacques has always had an interest in the construction industry. 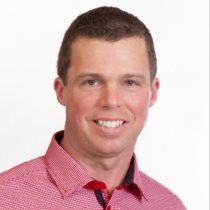 When he found out that a Pro Post Foundations franchise was available in his region, he leaped at the opportunity to become an entrepreneur, something he had dreamed of for quite a while! Alain has been a Pro Post Foundations distributor and installer since 2013. What sets Pro Post Foundations products apart from the competition? Alain says it’s their excellent quality that really stands out. They have a higher load bearing capacity than other similar products and are available in several sizes, which allows installers to face up to any type of project. Alain also thinks that the equipment used to install the piles sets the company apart from its competitors. The Kubota mini-tractor equipped with lawn tires is an efficient piece of equipment that leaves virtually no trace of its passage on the clients’ property. This mini-tractor is also very compact and can gain access to the tightest of spots on any type of terrain. Alain has worked for many years in the agricultural construction industry. What project makes Alain the proudest? A cottage that rests entirely on piles. It’s a good example of what can be done with screw pile foundations!